US PATRIOT SAILING LAUNCHES "PATRIOT III"
U.S. Patriot Sailing, an organization dedicated to supporting combat, wounded, and disabled Veterans through the sport of sailing, launched "PATRIOT III" their newly donated "Left Coast Dart" participating in the CRA Winter Regatta. “The Left Coast Dart is fast, easy to sail, and will really enable us to meet the increasing demand for our program in San Diego." said Michael Rose the San Diego Chapter Lead. Michael is an active duty Chief Petty Officer in the US Navy. "Sailing as a sport provides a unique environment where Veterans of all abilities and ages can come together to compete as a Team to navigate dynamic challenges;" explained Peter Quinn, an active-duty naval officer and founder of U.S. Patriot Sailing. "Sailing shares many of the positive aspects of military life and offers Veterans a chance to experience healthy adrenaline, excitement, calm, the beauty of the sea, and enjoy the camaraderie of teammates both on and off the water. It is a joy watching new teammates get hooked on the sport, build skills and confidence, form new and lifelong friendships, and be welcomed into the larger national sailing community. 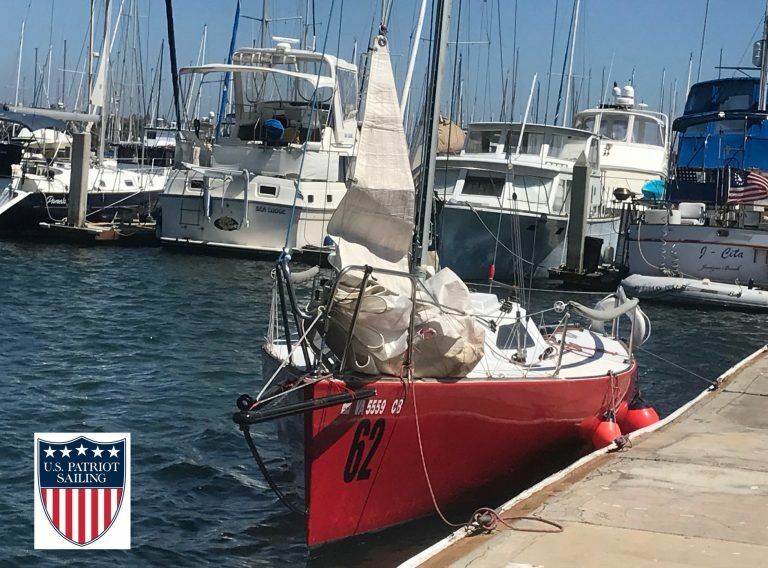 Now entering its 6th year, U.S. Patriot Sailing supports hundreds of Veterans nationally and entered Veteran crewed boats from 20-80 feet in more than 150 races last year alone. With fleets supporting the East and West Coasts, U.S. Patriot Sailing is the only national, all volunteer run program completely dedicated to supporting combat, wounded, and disabled veterans through the sport of sailing. 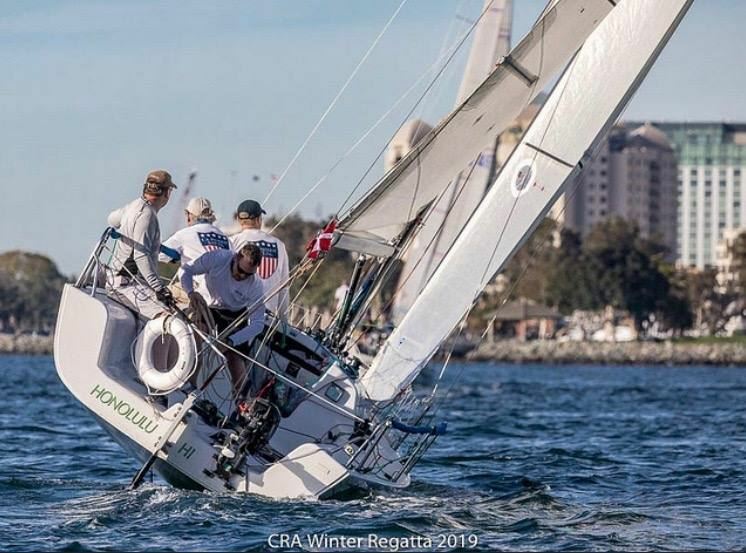 Just a few of the upcoming national events US Patriot Sailing will be competing in 2019 are: San Diego & Annapolis National Offshore One Design (NOOD) Regattas, Charleston Race Week, the 50th Anniversary Transpac, and the Annapolis to Newport Race. 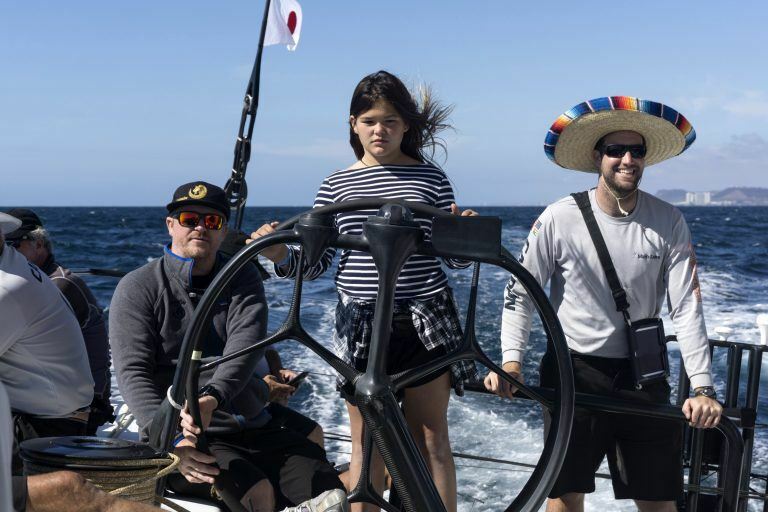 TROGEAR INVENTOR HENRY DOKONAL OUTFITS B-25 "SPIRIT"
Check out the Sailing Anarchy article featuring a sweet looking Trogear Bowsprit on the B-25. The Bowsprit will get it’s first taste of the race course in the upcoming San Diego Yacht Club Hot Rum series. We are building an all veteran team to give the Trogear and bowsprit a beating while trying to take first in class. 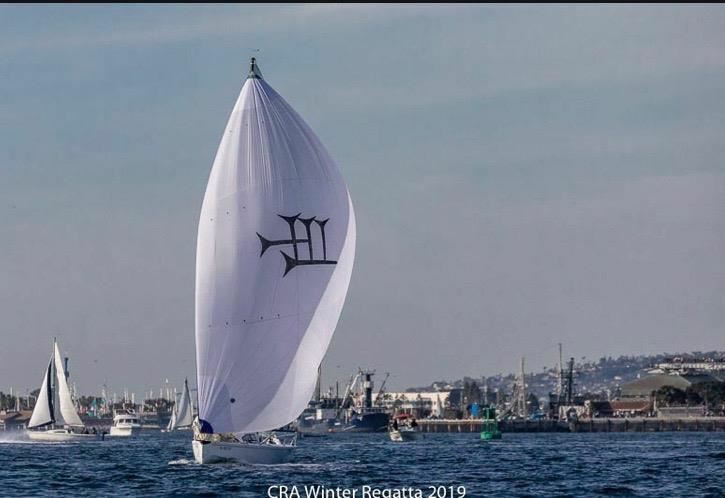 Stay tuned as US Patriot Sailing will have Veterans Racing on the small B-25, a medium C&C 115, and the largest boat in the race the Botin 80 Cabrón. Big thanks to Trogear for helping convert this boat and enable our Veterans to sail faster and sail safer. Steve Meheen’s Misfits Racing program takes line honors in the 55th Little Ensenada Race. Simply put... Steve Meheen and the Misfits Racing Program have opened amazing opportunities for our US PATRIOT Veterans! Check out Will Suto's article in Sailing Anarchy! ST. PETERSBURG, FL (15 Feb 2018) - U.S. Patriot Sailing, an organization dedicated to supporting combat, wounded, and disabled Veterans through the sport of sailing, is sending a multi-generational Veteran crew to compete in the 30th Helly Hanson National Offshore One Design (NOOD) Regatta Series in St. Petersburg, FL. From February 16 - 18, 2018, the nonprofit organization will enable three generations of combat Veterans representing Vietnam, Desert Storm and Iraqi Freedom to compete in one of the most competitive, national racing series in the country. Now entering its 4th year, U.S. Patriot sailing supports over 150 Veterans nationally and entered teams in more than130 regattas last year alone. With fleets supporting on the East and West Coasts, U.S. Patriot Sailing is the only national, all volunteer run program completely dedicated to supporting combat, wounded, and disabled veterans through the sport of sailing. "Sailing as a sport provides a unique environment where Veterans of all abilities and ages can come together to compete as a Team to navigate dynamic challenges;" explained Peter Quinn, an active-duty naval officer and founder of U.S. Patriot Sailing. "Sailing shares many of the positive aspects of military life and offers Veterans a chance to experience healthy adrenaline, excitement, calm, the beauty of the sea, and enjoy the camaraderie of teammates - all in one event. It is a joy watch new teammates get hooked on the sport, build skills and confidence, and then be welcomed into larger national sailing community"
The team competing in this regatta includes a Vietnam Purple Heart Veteran and will sail aboard USA 479 "Shiraz", a civilian donated Melges 24 and will compete in Melges 24 one-design fleet over the three days of racing. "St. Petersburg attracts some of the best sailors in the world and U.S. Patriot Sailing is proud to have put together a multi-generational Veteran crew to compete here in the 2018 racing season," Mr. Quinn continued. 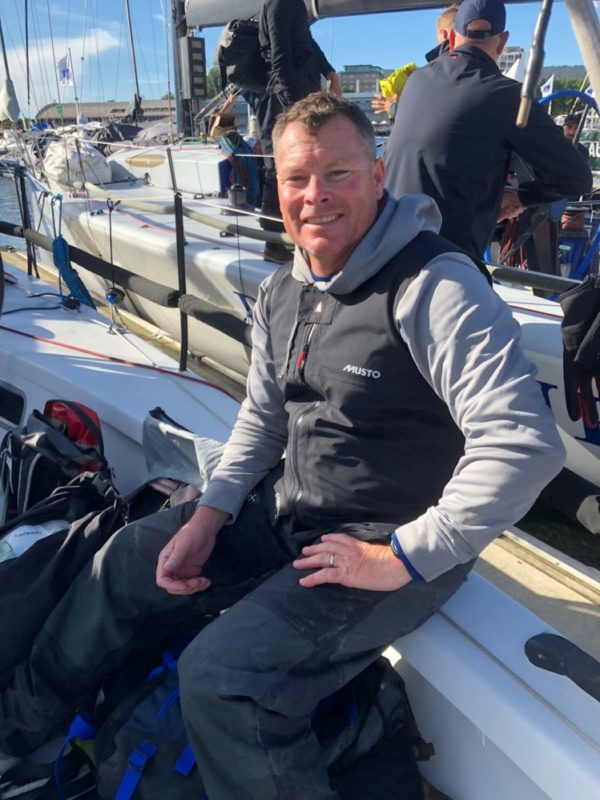 "But we couldn't have gotten here without the help and support of our regatta sponsor, Phil Davis for donating use of his boat "Shiraz" and North Sails and the US Melges 24 Class Association, who provided coaching for the crew during the Melges 24 Mid-Winters. Thank you for helping us create this opportunity for this group of deserving American heroes." Please visit www.uspatriotsailing.org for more information or follow us @SailUSPatriot on Twitter and Instagram. © 2018 US Patriot Sailing, Inc. All Rights Reserved.